Phone Scoop spent some quality time with Verizon Wireless' line-up of holiday devices, including the HTC Eris, Casio Brigade, LG Chocolate Touch, Samsung Convoy and BlackBerry Curve 8530. The HTC Eris is Verizon's second phone to run the Android platform. 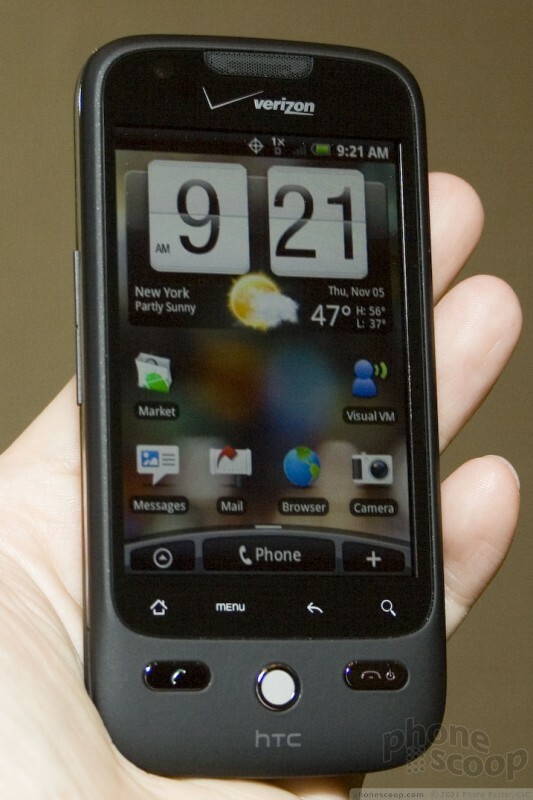 It is essentially a slightly re-designed HTC Hero, which was announced earlier this year. It makes some significant changes to the hardware when compared to the Sprint version of the Hero, and that's mostly good. The Eris is noticeably thinner and lighter than the Sprint Hero, but retains the same display and feature set. It's black and coated in a soft-touch paint job. On the whole, it feels really good in the hand. The combination of size, weight and materials makes it very appealing. The display is the same 3.2-inch 320 x 480 that's on the other two versions of the Hero. 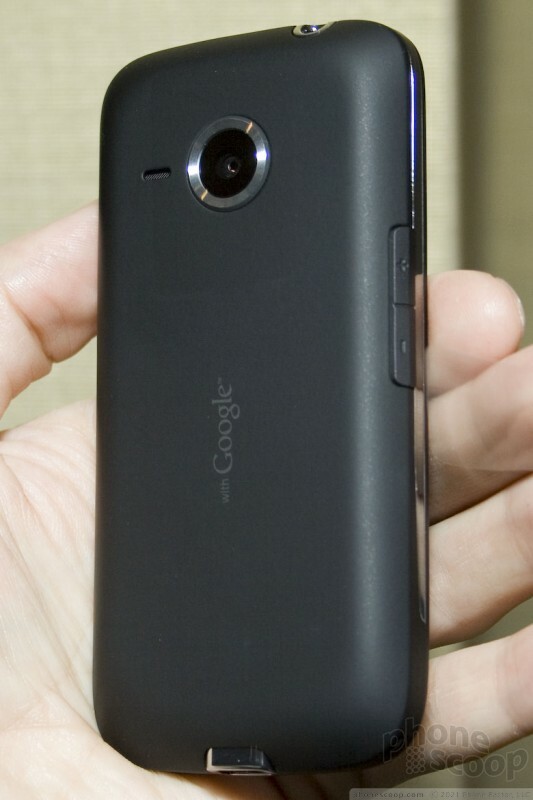 It looks good, though after seeing the Motorola Droid, everything else pales in comparison. HTC has also changed the control keys under the display. It has ditched most of the physical buttons and replaced them with four capacitive buttons that are very similar to those on the Motorola Droid. These four capacitive buttons provide haptic feedback when pushed. The buttons on the sides of the device are kept to a minimum, and they all worked well. As for the user interface, it is running HTC's Sense UI. It features seven customizable home screens and some home-brewed apps from HTC. Sense is intuitive for the most part, and the underlying Android menus are all the same as on other Android 1.6 phones. The slightly smaller footprint and solid software on the Eris make it an enticing alternative to the Droid — especially since it costs half as much ($100 v. $200). LG offers up its third version of the Chocolate phone for Verizon Wireless, this time bringing a touch user interface to the mix. It lives up to the Chocolate's music-rich heritage, but leaves a bitter aftertaste. 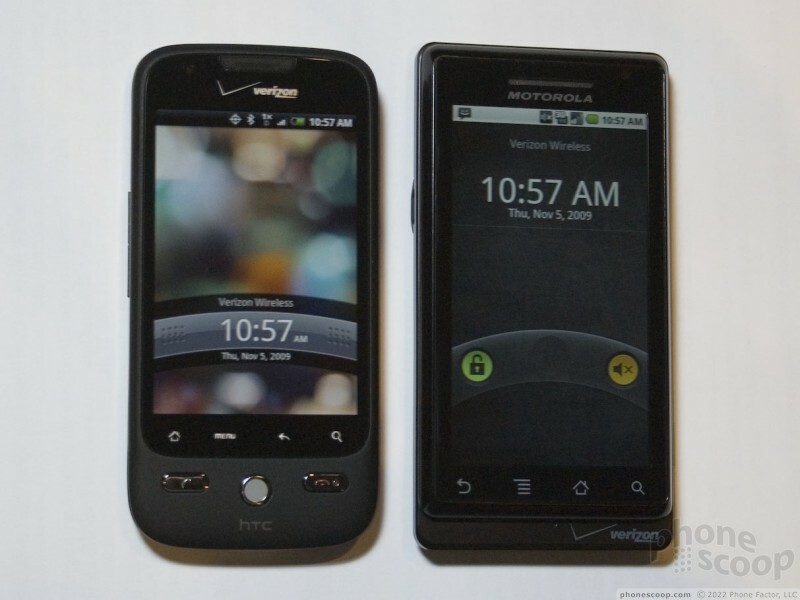 Here's a look at HTC's latest version of the Hero, the Droid Eris for the Verizon network. The Eris is a powerful and tiny little device that features HTC's SenseUI and Android 1.5. A little known app found in the Media Center catalog -> Email category, makes the Brigade, Convoy, and Choco Touch a bit easier to use for email. The app is called Vemail and it is a mobile email app that lets you speak email and get many attachment types (document, images, audio, but not video). 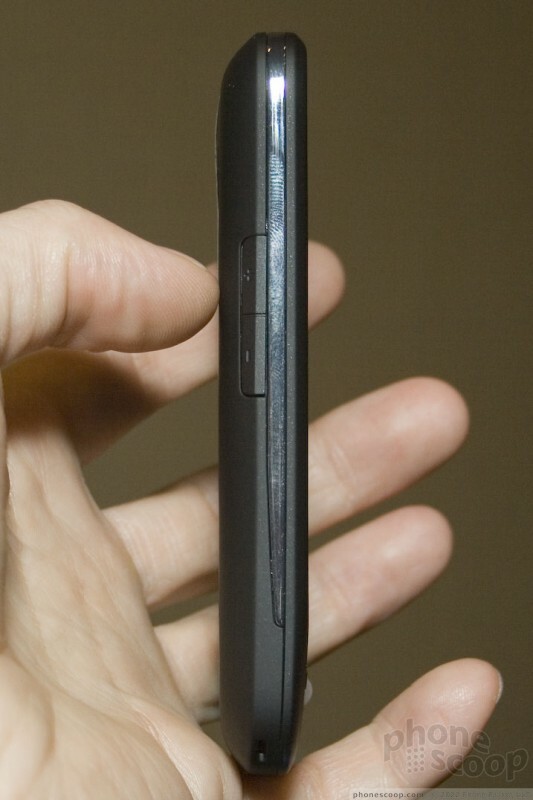 Android phones, Crackberry Storm 2. Very interesting things going on. Now all they gotta do is have better pricing plans. If their plans were as cheap as Tmobile or Sprint, then you could expect the same network coverage you get from both...which is virtually none. When comparing plans to AT&T, they are virtually the same and both have data requirements. No question. They are coming out swinging. This also explains why they are raising the ETF on advanced devices... They plan to sell a bunch of them. It was going to come out this summer, then in Sept., then in October, then in November. What's the deal? I just called Verizon(11/6/2009)and they told me 11/27/2009!!! So will see? I want this phone. The Company=Verizon? First THE Network...Now THE Company! Cool! Do I wait for Essex and why? 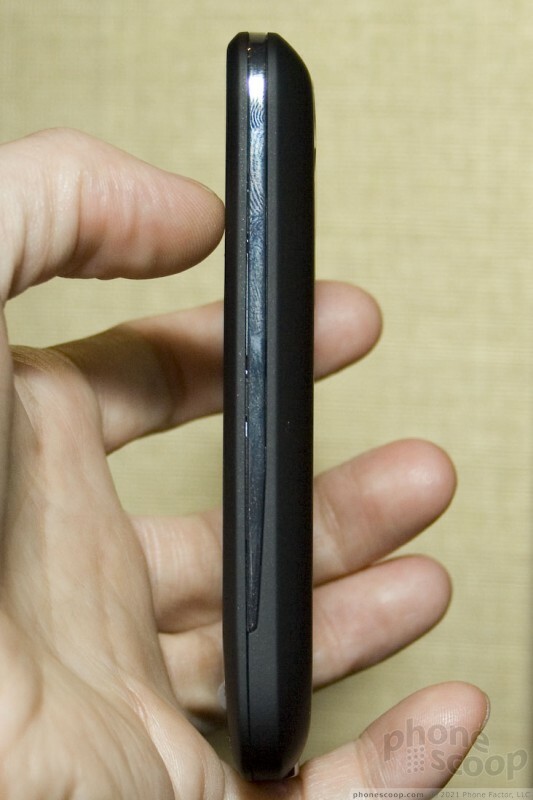 The Curve is the affordable QWERTY model, and Tour is the higher-end QWERTY model for CDMA. Good stuff guys, looks like verizon users will have some nice gifts from Santa in their stockings, lol. and for a million dollars what phone am I getting?